What is summer without some classic movies?? I have little faith in the standard movie rating system these days and it seems they are going downhill faster and faster, but this site gives very detailed and unbiased info about the content so you can make an informed decisions and avoid seeing something you wish you or your kids hadn't. I have no affiliation with them, but wanted to share it with all of you. Father of the Bride and again in Father of the Bride 2. Check them out if you missed it.. Thanks for that post, I have never seen or even heard of the movie Summer Magic. It looks like a good one! I'll have to put it right on my blockbuster queue. 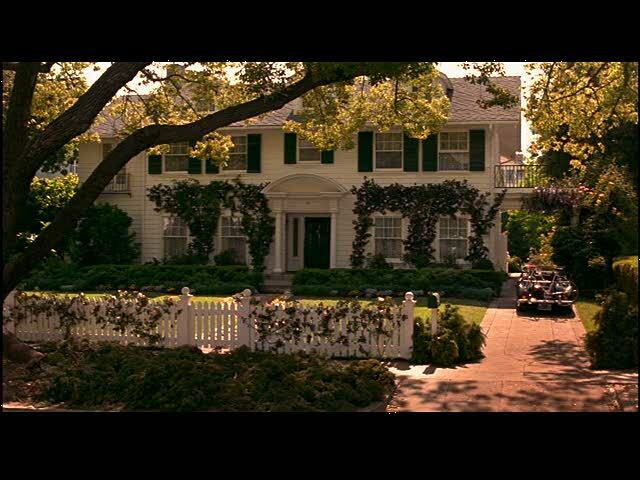 Also, I just have to say that I so agree with you on the Father of the Bride, the house is one of the reasons it's one of my favorite movies. Another favorite- the apt in You've Got Mail. Just found your blog- it is lovely! 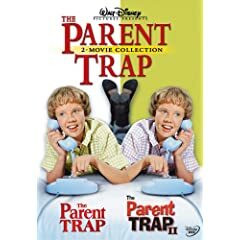 I love your Top 10 movies for summer- especially What About Bob and The *Original* Parent Trap! Also, you have to love Father of the Bride! I live right by that house in Pasadena, and I often find myself imagining what it would have been like to be there while filming whenever I walk by! 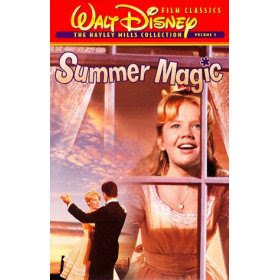 Back in the '80s when the Disney Channel showed old Disney movies and Mickey Mouse cartoons, I discovered Summer Magic. A couple weeks ago I found it at the library and watched it with the kids...fun movie! They loved the "Ugly Bug Ball". Another really great foundation and site for movie monitoring is "The Dove Foundation" located at Dove.org. We use this site for everything. If you find a movie that they don't give an approval rating.. it gives you a break down of why.. and you can use your judgement. Also you may have seen their logo on most of the movies you've chosen for your family and never known about them. A lot of times we see new dvd's released that we haven't had a chance to look up yet.. the good thing about Dove is They are extremely strict on their guidelines.. so if you see their seal present on a dvd cover you know it's safe & family approved. Check out their site.. I think you'll really love them. We love Everyone's Hero! Such a sweet movie. This weekend we watched Goonies (some language) & Honey I Shrunk the Kids, or as my son calls it Shrunk Kids! I love old movies. It seems rather difficult to produce a movie that the entire family can watch without fear!! Great post. I just love that house from Father of the Bride - and it was interesting to see how the interior of that house was very similar to the interior of the house from the original Father of the Bride movie, from the 1950s - usually when there's a remake the new house looks nothing like the old one, so it was interesting to see how similar they were. My favorite summer movie to watch is The Long, Long Trailer starring Lucille Ball and Desi Arnaz. Oh! How I love the original Parent Trap... "Let's get together. Yeah! Yeah! Yeah!" 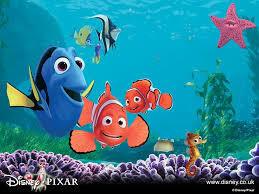 Finding Nemo is one of the few animated movies that makes me laugh every time. I also love Bringing Up Baby with Katherine Hepburn & Cary Grant... very funny! The Parent Trap and The Sound of Music are high on my list of faves. I love this post! That is my dream home!!! Whose isn't it I guess? And dreaming of playing basketball on the driveway with the picket fence... ahhh (*sigh). This is such a great post idea!!! My favorite summer movie to watch is "THe Oustiders" (kinda a downer) and "Anne of Green Gables and Anne of Avonlea". Love the Father Of The Bride House! We saw a special on HGTV abt movie houses and the actual house looks exact outside but NOTHING like it on the inside. It was kinda sad. I love Haley Mills movies! I need to put some in our Netflix queue. We have a couple of weeks of vacation coming up and will need some good family movies. We also like some of the old Herbie movies and Apple Dumpling Gang. And did you mention Chitty Chitty Bang Bang? I love "Summer Magic!" I can't wait for my daughter to be old enough to appreciate it. The songs are so fun and the story is great. 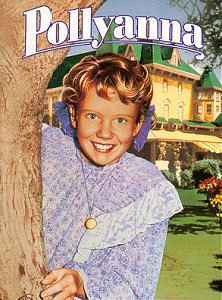 Classic Hayley Mills is a must-watch. This is one of my favorite movies, both 1 and 2, I have them and can watch them over and over and I LOVE THAT HOUSE so much! It is my dream home! Gorgeous!